Szymanowski wrote his Violin Sonata in D Minor op.9 in 1904, when he was just 21. 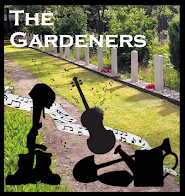 It was dedicated to an amateur violinist friend but was not played until 1909 when Pawel Kochanski and Artur Rubenstein played it, and Kochanski would go on to be the dedicatee of, and to premiere, Szymanowski's violin concerto. The sonata was written before Szymanowski really developed his mature style and it is a capable work in which the influences (Franck, Richard Strauss, Scriabin) are easily detectable. It is a big bold work, in three movements and opens with an Andante moderato, patetico which starts of in a highly dramatic, rhapsodic manner and continues highly impulsive. The movement is quite intense with a good sense of drama from the performers. Tamsin Waley-Cohen plays with vibrant singing tone, warmed by vibrato. The middle movement is Andante but has a scherzo section in the middle. It starts with a quiet thoughtful piano, joined by just a thread of violin tone with lovely fine grained tone from Waley-Cohen. 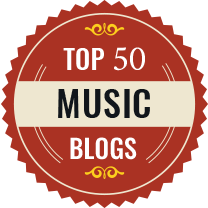 It is a lyrical song-like movement, interrupted by the perky scherzo, and ending with some real romantic passion. The final movement, Allegro molto, quasi presto is vibrant and full of romantic energy, with Waley-Cohen providing a sense of an ecstatically sung line no matter how many notes there are. 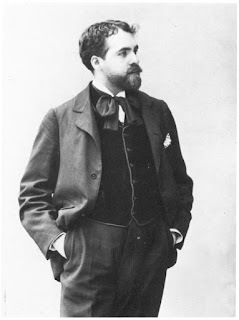 Reynaldo Hahn's Romance in A major was an early work, written in 1901. It is an elegant, salon-ish multi-sectional piece which starts with a slow introduction and develops into something more complex. Waley-Cohen's tone quality here is coloured by her lovely use of portamenti, completely in period but still rarely used today. Hahn's Sonata for Violin and Piano in C major dates from 1926/27. Again, a three movement work it opens with a large scale (over 10 minutes long) movement marked Sans lenteur, tendrement which is again elegant and melodic, with the music flowing fluidly and getting rather rhapsodic at times. Though Waley-Cohen plays with fine-grained graceful tone and is fluently accompanied by Watkins, they cannot quite disguise the fact that the movement does ramble a bit. The short second movement (three minutes long) is fast and furious, one passage with a long held violin note over a busy piano was very striking indeed. The long (over nine minutes) final movement returns to calm poise for the introduction, again with some lovely portamenti, before the gently haunting (and dare I say it, salon-ish) main part of the movement. It gets romantic briefly, but the overall feel is of flowing charm. Hahn's Nocturne in E flat major is another early piece, dating from 1906 and full of haunting, delicate charm. 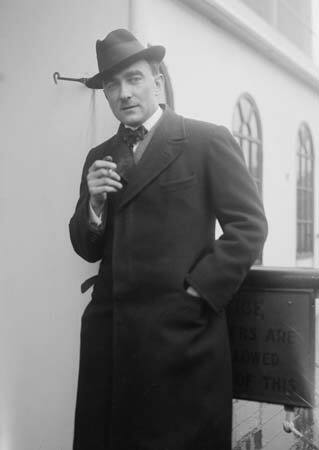 Szymanowski's Nocturne and Tarantella was written in 1915 and again premiered by Pawel Kochanski. The opening Nocturne's haunting and evocative with Waley-Cohen playing with just a thread of sound. It is as if the night music of Bartok had taken a turn for the exotic. This exotic feel continues into the wonderful Tarantella which is fast and brilliant. This is a fascinating disc, a window onto some of the other highways and byways of 20th century violin music. 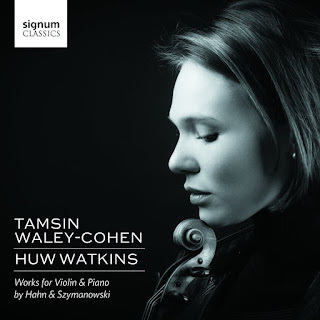 The contrasting styles of Hahn and Szymanowski work well together on the disc and the performances from Tamsin Waley-Cohen and Huw Watkins are exemplary but are big and bold. 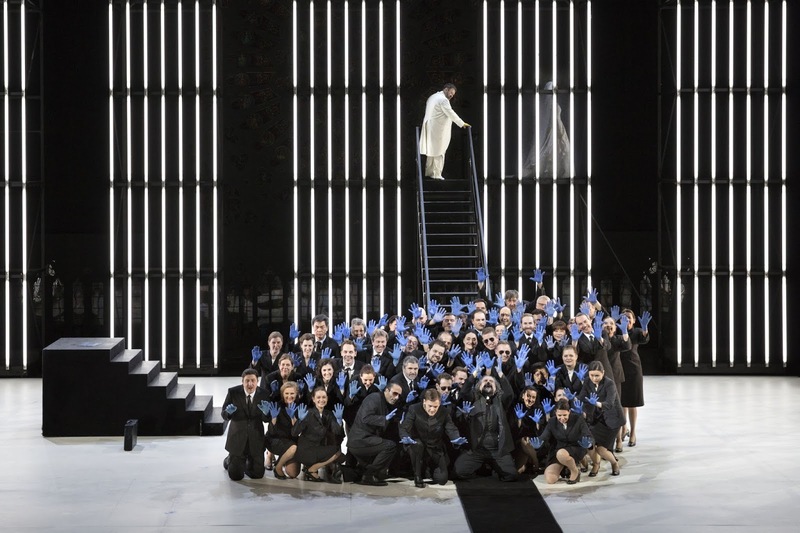 This is in many ways a courageous disc, with performances to match and should win many admirers for these works.